These are the tasks for starting up a project in Prince2 2009 Method. 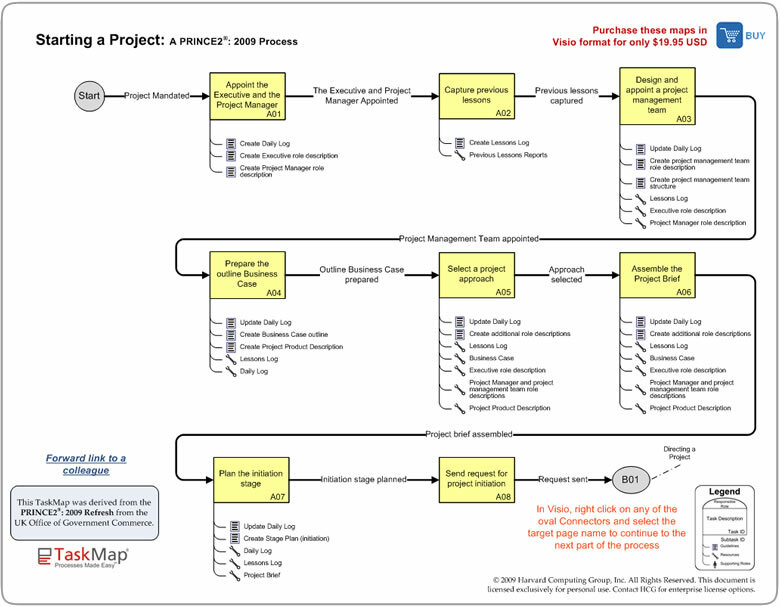 Courtesy Harvard Computing Group, Inc. Prince2 2009 Methodology, click image for details. Copyright 2011 Harvard Computing Group, Inc.